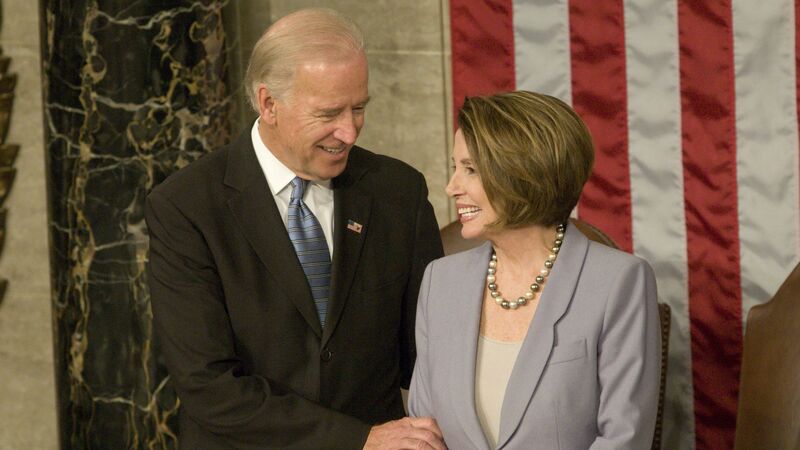 House Speaker Nancy Pelosi said at a Politico Playbook event on Tuesday that while she doesn't think two recent allegations of inappropriate touching by former Vice President Joe Biden are "disqualifying" for his potential 2020 run, she wants Biden to know that it "isn't what was intended — it's how it was received." "To say I'm sorry you were offended is not an apology. It's 'I'm sorry I invaded your space.' ... I've known Joe Biden a long time. My grandchildren love Joe Biden. He's an affectionate person, to children, to senior citizens, to everyone, that's just the way he is ... But he has to understand in the world that we're in now that people's space is important to them, and what's important is how they receive it and not necessarily how you intended it."